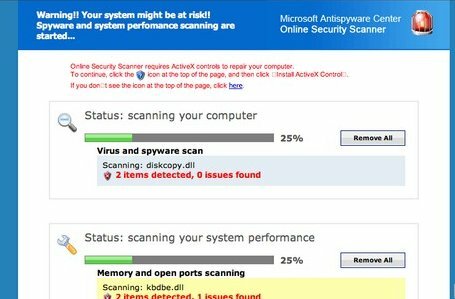 Microsoft Antispyware ? Check twice before install ! Home › Rogue Anti Spyware › Microsoft Antispyware ? Check twice before install ! Sunbelt blog and Swatkat reported about new Fake Microsoft Antispyware Center. The website that pushes this rogue application calls itself as “Microsoft Antispyware Center”! Layout of this website is identical to old rogue applications like SpyShredder, MalwareMonitor etc.